The FSC 20p challenge – so close! 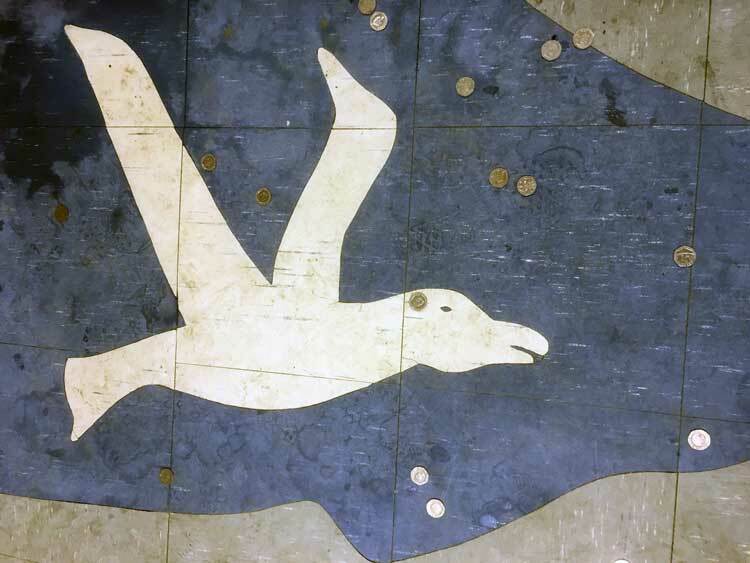 Occasionally whilst down at the club some of you may have been hounded into playing some sort of game that involves rolling a 20 pence coin across the room with the aim of covering the FSC seagulls eye that is on the floor. The commodore says that it isn’t! Well… we had a superb effort from Paul Miller a few days ago (see photo) where only an inch would have made a huge difference. Rumours that he’s heard that before are completely unfounded. The pot of winnings is rapidly increasing and getting heavier and heavier and we’d love someone to go for glory and take the prize (50% goes to the club). So next time you’re down the club and have a few spare coins in your pocket, have a word with Pat Cullen and ask to try your luck (at the 20 pence challenge! ).